Would you allow 1600 chest x-rays for yourself or your child? Some scientists say that’s what 24 hours of cell phone use amounts to. Here’s visual proof. Slide one (top left) shows a normal healthy cell under magnification. This cell is a bright energetic little orb with its DNA and other genetic materials safely inside the cell membrane. Slide two (top right) shows a living cell exposed to 1600 chest X-rays. This cell is shrunken and has lost its energetic brightness. There is a comet trail of fragmented DNA particles, visible streaming out of the cell. These DNA fragments are called micronuclei, typical mutations from excessive X-rays, or from gamma waves of nuclear detonation. Slide three (bottom) shows a cell exposed to 24 hours of cell phone radiation. Its comet tail of micronuclei damage is virtually identical to that of 1600 chest x-rays. The frequency used was 1.8 gigahertz (1800 megahertz), typical cell phone frequencies are around 1.9 gigahertz (and also from many household cordless phones). 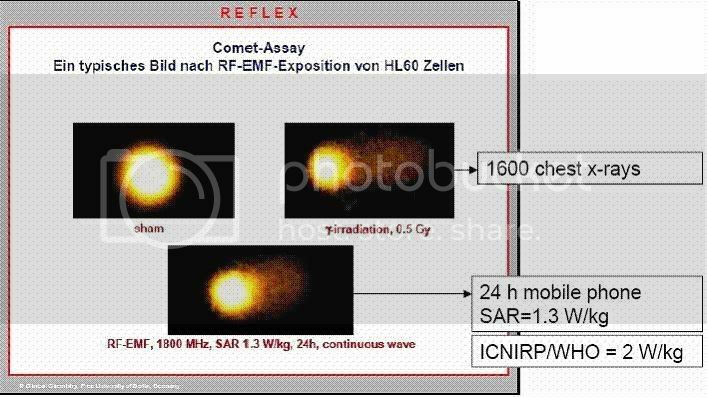 The power level used to micronucleate this photograph was 1.3 W/k Specific Absorption Rate (SAR). SAR is the calculated amount of energy absorbed by the human body from microwave phones. Many cell phones produce MORE power than that. KIDS SHOULD NEVER BE ALLOWED CELL PHONES. Instead, they live with them like a second appendage. Yet, by 2010 there will be 31 million young cell phone users, 10.5 million of them pre-teens. (1) “Parents have made teens and their younger 8-12 year old siblings the fastest growing segment of the cell phone market,” says Yankee Group, a consulting firm which promotes all things wireless. (2) In 2007, a Harris Interactive survey reported that American kids age 10-17 admit to using a cell phone an average of up to 3.75 hours per day. (3) A teen boasting five or more hours per day is not uncommon. As heavy users of wireless, these millions of idle, entertainment-starved kids are among the radiation industry’s most lucrative cash cows. But getting milked at an early age should garner hazard pay, according to thousands of scientific studies compiled over decades. There is ample evidence that kids who continually irradiate themselves with pulsing, ELF-embedded microwaves from wireless devices are being set up for general health degradation, severe nerve damage, mental incapacitation and life threatening tumors. British and Austrian health officials warn that kids may be especially susceptible to serious health problems from wireless devices. (7) Canadian officials say that children should limit cell phone use until health science catches up with technology. (8) The French health minister advised in January, 2008, that kids be allowed no more than 6 wireless minutes at any one time. (9) (Cleanup workers at Chernobyl were limited to a few minutes in nuclear radiation areas). 1. Microwave phones can make kids hearing-impaired. According to research presented in 2007 by the American Academy of Otolaryngology, cell phone radiation incrementally damages the inner ear, causing high frequency hearing loss. Those who talk an hour a day or more, sustain the most damage. (11) Youthful cell phone habituates will suffer major and irreversible hearing damage by the time they reach young adulthood. This is like micro-cooking a child’s eyes. 4. Microwave phones highly elevate a child’s cancer risk. In late 2007, Israeli experts announced that talking as little as 10 minutes on a cell phone triggers changes in brain tissues linked to abnormal cell division and cancer. (19) Phone microwaves are implicated in both eye and salivary gland tumors. (20) In 2006, studies by three European research groups reported an increased incidence of brain tumors in people who have used mobile phones for ten years or more. After 2000 hours of microwave phone exposure, kids face a 240 percent increased risk of developing brain malignancy. (21) If the 1.75 million 8 and 9 year olds who now use cell phones average only half an hour a day, they will be at high risk for radiation cancer in their teen years. Cancer is the number two cause of death for American children. No sane parent would submit his child to 1600 chest X-rays over a 24 hour period. Yet a mere 24 hours of wireless phone radiation can inflict the same damage to a child’s tissues as 1600 chest X-rays. This is the crux of studies completed by 12 groups of researchers from seven European countries who collaborated in the REFLEX study project to gauge the effects of wireless radiation on human health. The truth of what they found is shown in a series of images above (22). The U.S. government allowed wireless phones to be put on the market in the 1980s with absolutely no safety testing. For each minute a child presses a microwave phone to his head, he may suffer radiation damage equivalent to approximately 1.1 chest X-rays. For each hour a child uses a transmitting wireless phone or wireless laptop to communicate, watch videos/TV or play games, he may be exposing his developing brain, eye and gut tissues to radiation damage equivalent to 66.6 chest X-rays. Ionizing X-radiation, like that used for chest X-rays and other medical procedures, is on carcinogen “List One,” compiled by the International Agency for Research on Cancer (IARC). IARC is an intergovernmental agency forming part of the World Health Organization. IARC ranks X-radiation on par with gamma radiation, plutonium, dioxin and benzene, all known to induce cancer in both animals and humans. There is no “safe” dose determined for any substance or exposure on IARC’s List One. It’s sobering that microwave radiation, blasting from an entire generation’s wireless phones, inflicts the same kind of DNA damage as ionizing radiation on IARC’s carcinogen List One. What REFLEX studies prove is how quickly that devastating damage takes place. The study analyzed micronucleated cell damage in blood and buccal (mouth) tissues of people who use their cell phone one to 15 hours a day. The control group had never used cell phones at any time. DNA samples were coded and scored blind in strict protocol. The test results of the “Indian study” are as stunning as the REFLEX work. The non cell phone users had an average of only four percent of their cells with DNA damage. The human body has a chance of meeting this moderate cellular reconstruction challenge, although every DNA repair operation carries with it a chance of error. A whopping average of 39.75 percent of cells taken from mobile phone users showed DNA damage. The blood of one 24-year-old male revealed 63 percent micronucleated cells. He had used a cell phone for 1-2 hours per day for two years, the norm for millions of kids. The Indian study confirms that the human body, overwhelmed with the continual and brutal assault of wireless radiation, is unable to perform normal cellular repair. Other studies confirm that microwave radiation, which causes a critical need for continual cellular repair, simultaneously shuts down cellular repair mechanisms. (24) The body’s exhausted immune and repair systems eventually become too decimated to do much more than survive poorly. So the latest studies reveal what no one wants to hear: Kids who endlessly cell-phone socialize, even sleep with perpetually transmitting wireless devices (to keep intermittent conversations on line), are doing immense damage to their tissues, especially the brain and setting up a storm of problems which they will reap in later life. The profiteers or corporate America don’t care. They want their money NOW; to Hell with the future of these kids. But long before epidemic cancers, young cell-phone users are destined to suffer the symptoms of neurasthenia, or what the Soviets used to call “radiowave sickness.” The symptoms include headache, fatigue, skin rashes, weakness, tinnitus, dizziness, moodiness and sleeplessness. These warning signs are just the beginning of a long, downward spiral of general deterioration, including circulatory ailments, immune dysfunction, allergies and premature aging. A child’s body, kept in chronic allergic stress by wireless phone radiation, may end up with an exhausted immune system which no longer responds effectively. European experts prognosticate that many people heavily exposed to wireless radiation may eventually suffer the manifestations of electro-hypersensitivity (EHS). (34) EHS is a devastating allergic, auto-immune-like condition in which over-irradiated persons become severely sensitive to both chemical and electromagnetic pollution. Similar to fibromyalgia and chronic fatigue, EHS symptoms can be so disabling that victims are often forced to isolate themselves from even the smallest electromagnetic fields. And what about environmental microwave transmitters? Millions of American kids, struggling with physical disabilities and mental manias, are heavily irradiated not only with Wi-toys, but also by ubiquitous environmental transmitters needed to feed those toys. Nearly 200,000 cell tower and roof top transmitters continuously saturate American cities, playgrounds and passing vehicles with DNA-damaging waves equivalent to ionizing radiation. Living in transmitter-zapped neighborhoods where microwaves pass easily into homes, millions of infants and small kids have no respite from daily, deadly radiation assault. Unregulated Wi-Fi systems, wireless local area network routers, security monitors, cordless phone systems and other types of wireless transmitters X-ray the interiors of malls, airports, offices, schools, hospitals and millions of homes 24/7. Many commercial and retail enterprises are switching to wireless inventory systems. These and retail inter-personnel push-to-talk radio systems literally “cook” stores and malls where kids congregate. Many public transport systems are being wired for Wi-Fi. Soon, commercial aircraft will offer Wi-Fi computer services, compelling all passengers to absorb the toxic rays of mid-flight entertainment. Many vehicles are wired with GPS navigation and/or tracking systems. These rolling hotspots zap not only passengers, but people passing by. You’d better do something for yourselves, or you and your kids will literally fry. Call me a technophobe (one correspondent did!) but DON’T FALL FOR THE OFFICIAL LIES, INCOMPETENCE AND DECEIT! Thanks to Amy Worhthington for doing all the heavy lifting work in compiling this, from a piece in the Idaho Observer. PARENTS should be allowed to withdraw their children from wireless computer network areas within Northern Ireland’s schools, a teaching union has claimed. The Association of Teachers and Lecturers has challenged the government’s position that there is no risk to pupils in schools from Wi-Fi. ATL director Mark Langhammer commented said: “A safety-first approach would oblige governors and education employers to monitor and report on Wi-Fi provision in schools. A Lisburn school principal has already disconnected his school’s Wi-Fi equipment after a parent approached him about health concerns linked to the technology, Ian Thomson, from Ballinderry Primary, said: “The PTA member was concerned about the possible adverse effects of the radiation produced by the Wi-Fi equipment. Professor Olle Johansson, one of the world’s leading experts on the effects of Wi-Fi addressed politicians at Stormont on Tuesday. Dr Johansson, who lectures at Sweden’s Nobel prize-winning Karolinska Institute in Stockholm, featured in the controversial BBC Panorama programme “Wi-Fi: A Warning Signal”. During his presentation at Stormont, he raised the possibility of health risks from Wi-Fi for children and staff in schools. Voice, a union for education professionals, has called on the government to commission a full scientific investigation into the effects of wireless technology in schools. Walter Graham, a local campaigner who invited Professor Johansson to Northern Ireland, is concerned about radiation being introduced to schools. A spokeswoman for the Department of Education said: “The welfare and safety of children and staff in school is paramount. The Health Protection Agency (HPA) has consistently advised that it does not consider there to be a problem with the safety of wireless computer networks (WiFi). “The HPA announced in October 2007, that it will conduct a systematic programme of research over a period of two years which will include the investigation of levels of exposure from WiFi networks. The Department will monitor the progress of the HPA programme of research. “Classroom 2000 (C2k) does not currently use WiFi for widespread connectivity of its equipment but has supported schools in limited deployment. WiFi is likely to be used in more schools as ICT use for teaching and learning expands. “Best advice at present indicates that the risk to health from WiFi radiation is very low and that WiFi equipment satisfies international guidelines,” said the spokeswoman. The following list is sorted from lowest cost/easiest to the highest cost /hardest solution. You should try to achieve at least a 10X reduction in cell phone Radio Frequency Radiation. Note: sometimes use of a speakerphone will bother those around you. •	Alternate which ear you listen to the cell phone with. •	Reduce the total amount of time using the cell phone. •	Minimize use of your cell phone where you have weak signals: possible areas include: rural, in house, in car,…. •	Change network/provider if you can determine that the new provider has a much stronger cell signal in your house -so that the cell phone will no longer have to shout. 3X? – 100X? Also reduces dropouts and dropped calls. Note: The new provider may require a different cell phone. You may want to use the Airtube Bluetube Headset Technology. A cell phone with a SAR of 0.5 has 2X less RF than a SAR of 1.0. •	Use cell phone with an external antenna connector to reduce dropouts and dropped calls. 30X. Cost $20 -$300. If your signal level is not too low you might be able to use an antenna inside your home. Note: This external connection tethers you to a wire while in the home. Provides hands-free (but not distraction-free) driving, which is now required in most states. Bluetooth with noise rejection also greatly reduces background noise for your listener. Top noise canceling models (fall 2008) Motopure and Jawbone II both cost about $100. Note1: Some BlueTooth devices cannot be put on quickly enough to answer an incoming call. Note2: Bluetooth conversations are not as private as with cell, but Bluetooth conversations are probably more private than those using speakerphones. This greatly increases the cell signal strength in your home so your cell phone does not have to shout..
Shares DSL internet connection with WiFi. This solution assumes that most of your cell phone usage is in your home. Femtocell will eliminate dropouts/dropped calls around the house. May produce RF all of the time – I do not know. This wireless solution which assumes that you have good cell signal outside of your house. This assumes that the majority of your cell phone hours are in your home. Also reduces dropouts and dropped calls. May produce RF all of the time – I do not know. You want to reduce the amount of RF to specific parts of your body. RF is not like nuclear radiation where you are concerned about total body dose. •	It appears that many SmartPhones, Touchscreen phones, and some recent cell phones use broadband EVDO for voice calls, not just data. 2X – 10X – where EVDO is available . Cost $100 to $500. EVDO tends to need less RF as it uses more efficient modulation (weaker signal can be used). Should reduce dropouts and dropped calls. Provider may charge extra per month for its use. http://www.phonescoop.com/phones/finder.php Can select between 93 features. You can edit your search, so do not need to re-enter the features wanted each time. Does not have reception quality – I do not know of any web site which does, either. Cell phone bars are very misleading, vary between cell phones, and the display is typically infrequently updated. I suggest that you make a dummy/free call every time you want to get an updated view of the cell phone signal level. researchers Leif Salford and Bertil RR Persson of Lund University. The study reports that cell phone GSM frequency exposure induces pathological leakage of albumin across the blood-brain barrier. Such effects have been reported in prior studies (for example, Salford 2003 and Schirmacher, 2007). The blood-brain barrier is a critical structure in the brain that separates the flow of blood through the brain from the brain matter itself. Blood contains toxins being carried to excretory organs and also certain molecules like albumin that can be lethal to brain tissue. Exposure to extraordinarily small RF levels on the order of …. may open’ the blood-brain barrier, making it ‘leaky’ and allowing toxins and molecules to cross directly into the brain, which in turn can cause nerve cell damage and neuron death. Eberhard et al (2008) report that two-hour exposures to cell phone GSM microwave RF resulted in leakage of albumin across the blood-brain barrier (BBB) and in neuron damage. Neuronal albumin uptake was significantly correlated to occurrence of damaged neurons when measured at 28 days post-exposure. The lowest exposure level was 0.12 mW/kg (0.00012 W/kg) for two hours. The highest exposure level was 120 mW/kg (0.12 W/kg). The weakest exposure level showed the greatest effect in opening the BBB, and in neuron damage and death. The current FCC exposure limit is 1.6 W/kg and the ICNIRP exposure limit is 2 W/kg. JL Eberhardt BRR Persson AE Brun LG Salford LOG Malmgren, 2008. LIVING close to pylons and high-voltage cables doubles the risk of dying from Alzheimer’s disease and senile dementia, a study claims. Researchers say they have found a direct link between the electromagnetic fields created by power lines and all types of dementia. The study by doctors at Bern University’s Institute of Social and Preventative Medicine in Switzerland is the latest evidence pointing to the dangers posed by power lines. An estimated 150,000 Britons live within the 165 ft danger zone of electricity pylons, according to Professor Denis Henshaw, an expert on human radiation. It is now time that electricity pylons are pulled down. However, National Grid, which manages the network, said putting high-voltage cables underground posed different risks and was prohibitively expensive. 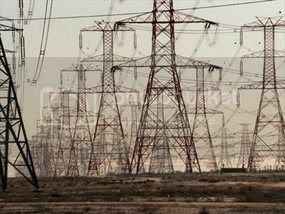 It said: “Underground cabling for high-voltage lines can cost between six and 17 times as much as using overhead lines. The UK has at least 14,000 miles of high-voltage cable carrying electricity from power stations to homes and businesses. The Swiss team, led by Professor Matthias Egger, found the risk of developing Alzheimer’s increases the longer people live next to electricity pylons. The paper has been published in the American Journal of Epidemiology. Professor Henshaw claims that radiation caused by power lines and other high-power electrical sources stops the body creating the natural hormone melatonin in the pineal gland, which is lacking in Alzheimer’s sufferers. National Grid said last night: “We recognise that there is some scientific evidence suggesting certain specific health effects may be linked to electric and magnetic fields. This can cause public concern. Last night the Department of Health said it was reviewing its position in the light of the study. Harold Wilson may have had early Alzheimer’s when he resigned as Prime Minister in 1976, research into his final Commons speeches suggests. The study, which indicated cognitive deterioration, appears in the Journal of Neurolinguistics. Like this person, I had to leave my position — a relatively well-paid and respected position as Associate Professor at Kyushu University in Japan. But the severance package there (for foreigners) was approximately a lousy one months salary — enough to move our furniture back to my wife’s parents’ house in central Japan. And then there was no social security to help because being sensitive to electromagnetic radiation is a condition that most governments (in bed with the cell phone industry) don’t want to admit exists. And because I have taken on the moral responsibility to try to do something about and to be publicly open about this problem (on the Internet), I am being discriminated against in the workplace — even though I am perfectly healthy now. I am being discriminated against for having had a condition that most governments will not even admit exists. Brian Kammerer, the 45-year-old chief financial officer of a small hedge fund, called his wife one day from a cellphone in the men’s room of his Manhattan office building. A colleague had just asked him for something, he whispered, but he had no idea what it was. “It clicks and it holds papers together,” he said. “A stapler?” Kathy Kammerer asked. “I think that’s what it’s called,” he replied. Soon after that exchange in early 2003, the father of three was diagnosed with Alzheimer’s disease, capping nearly five years of uncertainty and fear about his increasing forgetfulness and difficulty with language. While most people who get Alzheimer’s are over 65, Mr. Kammerer is one of about 500,000 Americans living with Alzheimer’s or other dementias at an atypically young age. Alzheimer’s takes a long time to develop — usually, it isn’t diagnosed until 10 years after the first symptoms appear — but more Americans are identifying it early, thanks in part to aggressive screening programs pushed in recent years by groups including the Alzheimer’s Foundation of America, a national alliance of caregivers. The disease can be especially torturous when it creeps up on those in their 30s and 40s. As these patients move through Alzheimer’s early stages, they are forced to cope with the dread of not knowing what is happening to them, often in the years when they’re raising young children and building financial security. As the disease progresses, there are slip-ups to cover, appearances to keep up. When these “early onset” Alzheimer’s sufferers are finally diagnosed, they face hard questions — whom to tell and when, and what these divulgences mean for their jobs and health insurance. Overall, an estimated 5.2 million Americans have Alzheimer’s, with as many as 10% diagnosed under the age of 65 — the definition of early onset, according to the Alzheimer’s Association, a national research organization. As the population ages, the number of individuals with Alzheimer’s is expected to hit 7.7 million in 2030. Listen to WSJ reporter Shirley Wang and Mrs. Kammerer talk about early warning signs, hearing her husband’s diagnosis, what a typical day is like for him now and how the disease has changed her perspective on life. There are no Alzheimer’s cures now on the market. Current medications mitigate some symptoms but don’t slow or halt the disease’s progression. Pharmaceutical companies are working on new therapies that reduce or remove amyloid, a sticky substance in the brain thought to play a role in the disease. There are more medicines in development for Alzheimer’s than any other neurologic disease except pain, according to Pharmaceutical Research and Manufacturers of America, the industry trade group. It will likely be years before a new generation of drugs makes it to market. 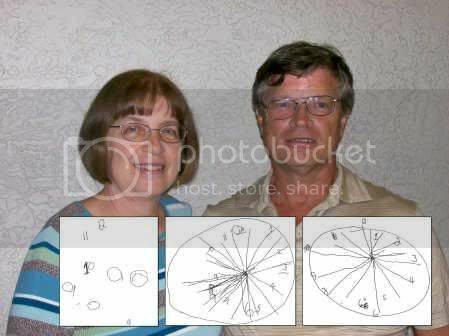 Now 51 years old, Mr. Kammerer, like many Alzheimer’s patients, had no history of the disease in his family. He grew up on the north shore of Long Island, where he stood out at school for his talent with numbers. After attending college at the State University of New York-Albany, he got a job on Wall Street. Mr. Kammerer met his future wife, Kathy, in 1983 at Donaldson, Lufkin & Jenrette, the investment bank where they both worked. Kathy, who had also grown up on Long Island, recalls not quite believing it when the handsome, fun-loving man with thick brown hair she was dating asked her to marry him. 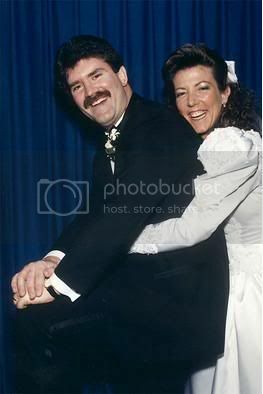 They wed in 1991. Soon they had a son and two daughters, and Mrs. Kammerer stopped working to care for them at their home in Long Island’s Massapequa Park. Mr. Kammerer commuted into Manhattan. Mr. Kammerer worked long hours in the office, his wife and former colleagues recall. But he also had a lively and self-deprecating sense of humor. Mrs. Kammerer said he was the life of the party. “He always had a cigar hanging out of his mouth,” she says. He had “a blue-collar mentality in a white-collar job,” says Martin Jaffe, chief operating officer and co-founder of Silvercrest Asset Management Group LLC, who worked with Mr. Kammerer for 15 years. Back home, Mr. Kammerer gave his children silly gifts like plastic glasses with fake moustaches and took his wife out dancing on date nights. He whisked the family away on surprise vacations to Florida. In the summers, he loved to barbecue and organized impromptu family slumber parties under the stars, his daughter Kate, now 13, recalls. In 1998, Mr. Kammerer started complaining of ringing in his ear. He sometimes felt dizzy, Mrs. Kammerer recalls. Other times he gave his wife a look as though he didn’t understand what she had just said. The Kammerers sought out a neurologist, who suggested Mr. Kammerer get a magnetic resonance imaging scan of his brain. When the MRI results came back, they didn’t look normal, the neurologist told the Kammerers. The doctor was unable to give them a diagnosis, however: He couldn’t say whether there was something wrong, Mrs. Kammerer recalls, or whether Mr. Kammerer’s brain had always looked that way. Had they even suspected Alzheimer’s, it would have been difficult to diagnose. Doctors look for patients or their families to report a collection of symptoms — such as forgetfulness, social withdrawal and difficulty planning or finishing complex tasks — that worsen over years. (The dizziness and ringing ears Mr. Kammerer experienced aren’t generally considered symptoms.) Currently, Alzheimer’s can be diagnosed conclusively only by autopsy. Mrs. Kammerer recalls staring at the picture of her husband’s brain. “This is our future,” she thought. She wondered whether she would need to get a job again should her husband be unable to work. The idea of going back to Wall Street terrified her, she says. The Kammerers agreed that until they knew what was happening, life should go on as usual. They said nothing to the children. Around friends and colleagues, they kept quiet about their concerns, fearing Mr. Kammerer would lose his job if word of his symptoms leaked out. “I lost a lot of sleep,” Mrs. Kammerer says. One day in 1999, Mrs. Kammerer grew more alarmed: Her husband couldn’t remember the word “sneaker.” Soon after that, he started saying things like “my brain is just not functioning right here,” Mrs. Kammerer recalls. That year, at age 40, Mr. Kammerer was named a Chief Operating Officer of DLJ Mutual Funds, a Donaldson Lufkin division. His new responsibilities included presentations to the board of a Wall Street firm of 11,300 employees. Within a year, Mr. Kammerer was struggling more often with words, a symptom of the disease called aphasia. But, always gifted at math, he showed no sign of having trouble with numbers, a key part of his job. To compensate, he worked into the night, when colleagues weren’t around. He increasingly called his wife from work, reading her memos he had written to make sure they made sense. Co-workers say they had no idea what he was going through. Debbi Avidon, who worked for Mr. Kammerer from 1993 to 2001 and is now at J.P. Morgan Chase & Co., says she noticed Mr. Kammerer’s longer hours but attributed it to his workaholic tendencies. “He was always very diligent and thorough,” Ms. Avidon says. Mr. Kammerer also withdrew socially. The cigar-smoking stopped. So did social drinking. Mr. Jaffe, Mr. Kammerer’s former boss for much of his time at DLJ, says that had he known about Mr. Kammerer’s memory problems, he’s not sure what he’d have done. “I would hope we would take the high road,” he says. He would have been concerned about whether the condition hampered Mr. Kammerer’s command over important numbers, he says, which might have meant a change in job responsibilities. “There probably are many jobs you can do well with that malady,” he says. In late 2000, Swiss banking giant Credit Suisse Group acquired DLJ. As is often the case in takeovers, Credit Suisse cut some of DLJ’s top executives. Mr. Kammerer lost his job in June 2001. His severance package included two years of salary and a year of health insurance. He took the rest of the summer off and played a lot of golf. Mr. Kammerer didn’t consider leaving the work force. His kids were all under the age of 12. There were many more years of private-school and college tuition to pay. Instead, he sought out lower-level financial-industry jobs that wouldn’t require him to work closely with others. He wrote out cue cards to take with him on interviews and changed the topic when he didn’t understand what an interviewer had asked. Electromagnetic Pollution of the Environment”, which was published in December 1971. The government report was drafted starting in December 1968 by an expert group made up of nine people, “The Electromagnetic Radiation Management Advisory Council”. “The President’s Office of Telecommunications Policy” issued the order. This report was an urgent warning for the future. Living near a power line can increase your risk of Alzheimer’s and senile dementia, a major new study has confirmed this week. People who live within 54 yards, or 50 m, of a power line more than double their risk of a neuro-degenerative disease such as Alzheimer’s compared with people who live at least 600 m from a line. The time you live near a power line also determines the risk level. Living within close proximity of a line for 15 years or longer doubles your risk compared with someone who has lived close to a power line for less than five years. These findings are based on a study of 4.7 m people living in Switzerland. After two weeks of taking coconut oil, Steve Newport’s results in an early onset Alzheimer’s test gradually improved says his wife, Dr. Mary Newport. Before treatment, Steve could barely remember how to draw a clock. Two weeks after adding coconut oil to his diet, his drawing improved. After 37 days, Steve’s drawing gained even more clarity. The oil seemed to “lift the fog,” his wife says. The only thing that kept Dr. Mary Newport positive in the face of her husband’s early onset Alzheimer’s disease was that he didn’t seem aware of how much ground he was losing. “He didn’t know the full ramifications of his decline — I hate to say it but that was the only blessing. I was watching my husband of 36 years simply fade away,” said Dr. Newport, 56, a neonatologist and medical director of the newborn intensive care unit at Spring Hill Regional Hospital. An accountant, Steve Newport left his corporate job the day his first daughter was born, allowing his wife to finish her medical training. As time went on, he worked from home, keeping the books for her neonatology practice and taking care of their two daughters, now age 22 and 26. About six years ago, Newport began struggling with daily tasks. He took longer to complete the business’ payroll and was making more mistakes. “I didn’t know what was happening to me. I was confused,” Newport said of his prediagnosis days. “There were big clues, and I knew that something was going on here,” Dr. Newport said. They saw his primary care physician, who referred him to a specialist. The diagnosis of early onset Alzheimer’s was a devastating blow. According to the National Institutes of Health, as many as 4.5-million Americans have Alzheimer’s. Early onset Alzheimer’s strikes people age 30 to 60 and is rare, affecting only about 5 percent to 10 percent of those with Alzheimer’s. While there is no way to confirm an Alzheimer’s diagnosis, Newport tested positive for the genetic marker that puts a person at higher risk for early onset Alzheimer’s. He was put on several FDA-approved medicines to help slow the progression of the disease, but he continued to decline. In August of last year, Dr. Newport said, her husband underwent a “drastic change,” losing more than 10 pounds. “He had completely lost interest in eating, and that was not a good sign,” she said. He also abandoned the kayaking and gardening he loved so much. Dr. Newport searched the Internet for clinical drug trials that would accept her husband. In May, he was set to apply for studies in St. Petersburg and in Tampa. The evening before the first screening, Dr. Newport stayed up late researching both drugs. During that research she discovered a third that had shown unbelievable results — actual memory improvement. “Most drugs talk about slowing the progression of the disease … but you never hear the word ‘improvement.’ Right then I knew I had to find out more,” she said. She began vigorously researching online and uncovered the new medication’s patent application. She found an in-depth discussion of its primary ingredient, an oil composed of medium chain triglycerides known as MCT oil. In Alzheimer’s disease, certain brain cells may have difficulty metabolizing glucose, the brain’s principal source of energy. Without fuel, these precious neurons may begin to die. But researchers have identified an alternative energy source for brain cells — fats known as ketone bodies, explained Dr. Theodore VanItallie, a medical doctor and professor emeritus at the College of Physicians and Surgeons at Columbia University in New York City. He has been researching ketones for more than 35 years. “Ketones are a high-energy fuel that nourish the brain,” VanItallie said, explaining that when you are starving, the body produces ketones naturally. When digested, the liver converts MCT oil into ketones. In the first few weeks of life, ketones provide about 25 percent of the energy newborn babies need to survive. As Dr. Newport continued to read about MCT oil and the new medication, she discovered something surprising: Non-hydrogenated coconut oil is more than 60 percent MCT oil, and this medication derived its MCT oil from this readily available tropical tree. Newport was not accepted for the first clinical trial. He was unable to remember the season, month or day of the week, and he scored a 14 out of 30 on the mini-mental state examination, a test used to screen for dementia and assess the level of impairment. He tested too low and, according to the results, had “severe” Alzheimer’s. One important test for Alzheimer’s progression is to draw the face of a clock from memory. That afternoon, Newport could barely remember how the clock looked, said Dr. Newport. “We were devastated,” she said. She tried to reassure herself and her husband by looking forward to the next day’s second screening, but she was beginning to feel hopeless. On the drive home, she stopped at a health food store and bought a jar of nonhydrogenated, extra-virgin coconut oil. The experimental medication’s patent application was complete with dosage information, and she did some quick math, converting the measurements. The next morning she stirred two tablespoons of coconut oil into her husband’s oatmeal, and she tried it in hers, too. On the way down to the second screening in Tampa, Dr. Newport quizzed her husband, asking him the day, month and year. “I prayed harder than I’d ever prayed in my life,” she said. Her prayers were answered. Steve scored an 18 on the exam, the highest he’d scored for more than a year and four points higher than the previous day. Newport was accepted into the trial but more importantly, the coconut oil he’d ingested seemed to “lift the fog.” He began taking coconut oil every day, and by the fifth day, there was a tremendous improvement. “He would face the day bubbly, more like his old self,” his wife said. More than five months later, his tremors have subsided, the visual disturbances that prevented him from reading have disappeared, and he has become more social and interested in those around him. Nothing can repair the brain damage he has sustained as a consequence of Alzheimer’s disease, and there is no cure. But it appears the oil is helping, Dr. Newport said. The Newports are not the only ones who have found positive results with ketones. In 2005, Dr. VanItallie studied the ketogenic diet’s effect on Parkinson’s disease. In his study, five patients stuck to the diet for one month, and all of the participants’ tremors, stiffness and ability to walk improved, on average, by as much as 43 percent. Parkinson’s is similar to Alzheimer’s in that it is neuro-degenerative, and glucose metabolism may be affected, Dr. VanItallie said. “We know that if we give patients ketones, we can bypass this glucose block,” he said. However, researchers don’t know if the effect is short term or long term. He is pushing for larger and more disciplined studies. Since starting the coconut oil regimen with her husband, Dr. Newport has become somewhat of an expert on the subject. Though not a neurologist, her background as a medical doctor and her biochemistry classes in medical school have helped her understand the way MCT oil is converted into ketones, and how beneficial this dietary supplement can be for those unable to process glucose. Additionally, ketones may be beneficial to those with Huntington’s disease, multiple sclerosis, Lou Gehrig’s disease, and Type I and II diabetes. “I think (Dr. Newport) is quite courageous. Most people give up when they are facing severe Alzheimer’s, but she feels she’s got significant improvement,” said Dr. Richard Veech, chief of the lab of metabolic control at the National Institutes of Health in Bethesda, Md. Dr. Veech has been working with ketones for more than 40 years and has become a valuable resource to the Newport family. Currently, he is working for the military, looking into ketones as a way to improve the performance of troops in severe conditions. He has written several articles about the subject and is convinced that ketones can provide more cellular energy than glucose and that they may be the key to aiding those with neuro-degenerative diseases. He has helped guide Dr. Newport in her personal study and answers many of her questions. Though her experience with ketones is not the peer-reviewed, double-blind clinical work researchers like to see, Dr. Veech said her results are promising. “(Dr. Newport) is getting the best she can with what she has,” he said. Dr. Veech stresses the importance of consulting a physician before trying coconut oil at home. He said ingesting too much of one type of fat can be dangerous and can also cause diarrhea and vomiting. Dr. Newport realizes more research is needed, but she is pleased with what she’s seen so far. “I’ve got living proof that this will help people,” she said. “I want to just tell everybody about this. It may help them improve, too. Amish farmers are to sue the US government on the grounds that plans to put electronic identity tags on livestock constitute imposing the “mark of the Beast”. A group of seven Amish farmers in Michigan say the state’s insistence that they use radio frequency ID devices on their animals “constitutes some form of a ‘mark of the Beast’ and/or represents an infringement of their ‘dominion over cattle and all living things’ in violation of their fundamental religious beliefs,” according to their lawsuit. Some Amish, who have a booming business in producing organic milk, disagree with radio ID tagging so strongly that they said they will give up farming if they do not get an exemption. 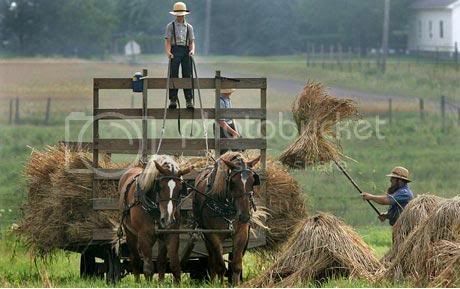 The Amish, members of an Anabaptist Christian denomination, are best known for their literal interpretation of the Bible and their simple lifestyle. The livestock registration is intended to create a national tracking system to help contain outbreaks of diseases such as mad cow disease, or foot and mouth. But the Amish claim that the scheme threatens their religious beliefs because, they believe, it is part of an ongoing attempt to number every living thing, a practice mentioned in Revelations where it is linked with the Devil. The US department of agriculture (USDA) argues that its cattle tagging plan is voluntary and that the lawsuit should instead be directed at the state of Michigan, which wants to make it compulsory. The USDA has also pointed out that farmers, including Amish ones, are already using numbered metal studs to track animals.